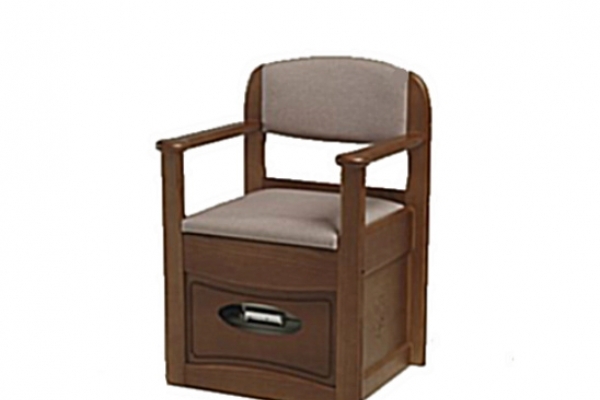 The Mersey Flushing Armchair Commode is an elegant piece of furniture, built from a combination of polished hardwood and aesthetically pleasing vinyl upholstery, which complement each other to give a chic and discrete model fit for any room. As well as this, this model offers a simple push button to flush, an easy to remove reservoir, and chemicals break down solids to trap unpleasant odours, overall making it a user-friendly and hygienic choice of commode. Removable inner plastic seat tray. Simple button activates a battery-powered flush system. Chemicals break down solids to lock in unpleasant odours. Reservoir can be used multiple times before emptying.